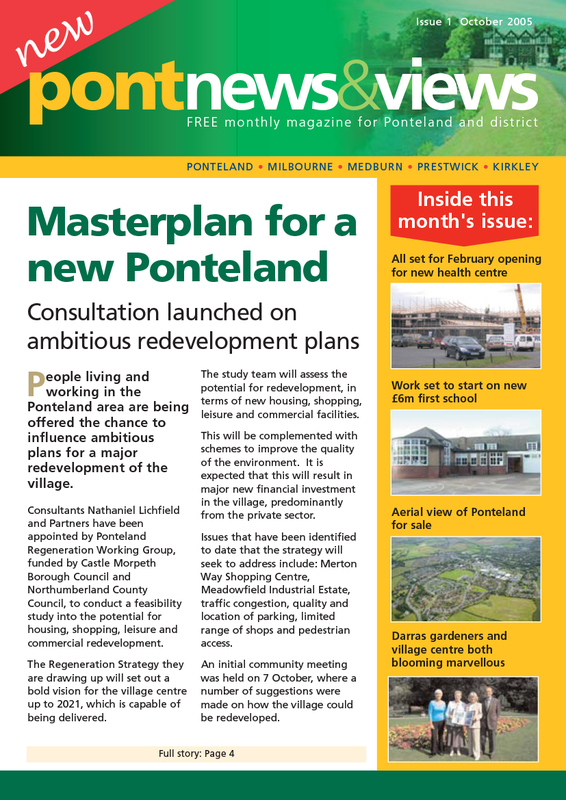 Pont News & Views is a monthly community magazine for the civil parish of Ponteland. The first issue was in October 2005 and it has been published monthly since then. It is delivered without charge to households and businesses in Ponteland, Medburn, Kirkley, Prestwick, and Milbourne all these communities make up the civil parish of Ponteland. 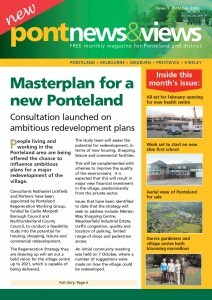 Ponteland had previously received some community news via the Neighbourhood Watch magazine. This was produced and delivered by volunteers but many households did not receive it. Eventually, Neighbourhood Watch was unsustainable and ceased. This loss left a local news vacuum as we did not have a local newspaper which concentrated principally on this area. Various ideas were floated to fill this gap. Fortunately, the Castle Morpeth Borough Council had commissioned consultants to examine the communities of Ponteland and Morpeth. They were able to identify weaknesses and strengths in each. Our lack of a regular community newspaper was highlighted as something that could be overcome. They suggested that we produce a monthly publication, printed cheaply on newsprint. Articles would come from local people and organisations. Advertising could defray the cost. The Parish Council was keen to adopt this idea. They recognised the need for an independent, unbiased editor to prevent the publication being hijacked by any one group. 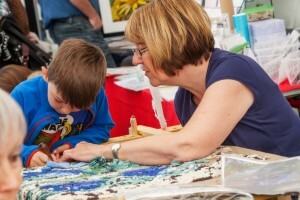 The Parish Council and the PCP held frequent talks on how to achieve this. Cost was a major consideration. Finding a suitable editor proved difficult. The Borough Council’s Chief Executive suggested that their publicity officer Chris Jennings, a former journalist, could do the job as a separate contract, provided it did not clash with his Borough role. We all agreed and Chris became editor. Part of his job was to raise income from advertising, negotiate good printing and delivery costs so that the magazine would become financially sound. The Parish Council agreed to underwrite the cost of PNV until it was established. From the start the editor set a high standard. The first issue was eight pages, topical, printed in colour on good quality paper and delivered to the door. A tremendous achievement by Chris, who still remains editor. A small management committee from the PCP and with local councillor members, supports the editor, watches over the finances, and insures that PNV remains unbiased. A member of this committee originally looked after the finances, produced regular accounts and was ruthless in chasing any bad debts. For administrative purposes the Town Council now handle the PNV accounts. After ten years, including recession, Local Government reorganisation and many local changes, PNV is still going forward. It serves our community and is a major source of information. PNV is now self-financing. Within the Castle Morpeth District Local Plan the Planning Inspector identified a lack of Play/Recreation areas for young people in the Ponteland area. Over a period of time consultation with the community and relevant groups, including the local middle, high schools and the Police followed. The need for a skate park could be accommodated on the spare piece of land adjacent to it. In 2007, Consultants provided an overall plan for the “play park” which would be Phase 1 of the Project, with the “skate park” as Phase 2. The outcome was for the identified provision of a skate park could be accommodated on the spare piece of land adjacent to it; along with the refurbishment of the existing children’s play area on Callerton Lane. These 2 projects had been awaited for, over 15 years. The “play park” was completed and officially opened in October 2009. In November 2010, a bid for funding for the “skate park” was submitted to the Big Lottery Funding via ITV’s “The People’s Millions “ scheme, but this was unsuccessful. In early 2011, the project plans were reviewed and it was decided to go for a simpler skateboard proposal that almost matched the funding already achieved. 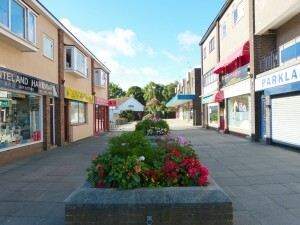 By June 2012, sufficient funds were available, thanks to contributions from SENRAC, our four County Councillors, the Ponteland Town Council together with grants from The Community Chest and Banks Community Fund. In early 2007 the responsibility for overseeing the Merton Way regeneration passed to the Ponteland Community Partnership (PCP). The Regeneration Sub-Group was set up charged with preparing a Design Brief. After a lot of hard work by Raymond Sproul and his team the brief was produced and later endorsed by Castle Morpeth and approved by the community at a public meeting in February 2008. Potential developers were sought, two were approved and both prepared their proposals that were put out to public consultation in early 2009. This resulted in a preferred developer, MKP Partnership being endorsed by the Town Council and Castle Morpeth Borough Council. The introduction of the Unitary Authority for Northumberland later in 2009 meant that the PCP’s project team had to work with a totally new County Council administration. It soon became obvious that the County Council representatives resisted progress with the project possibly because it had originated from the PCP and did not fit in with the County’s infrastructure planning. Unfortunately, this approach has been perpetuated by the Northumberland County Council’s development arm, ARCH, judging by their continued lack of information or response to the Ponteland Community Trust’s proposals about the local library site. All this could have had a significant effect on the community’s perception of the PCP’s apparent lack of progress with the regeneration project. 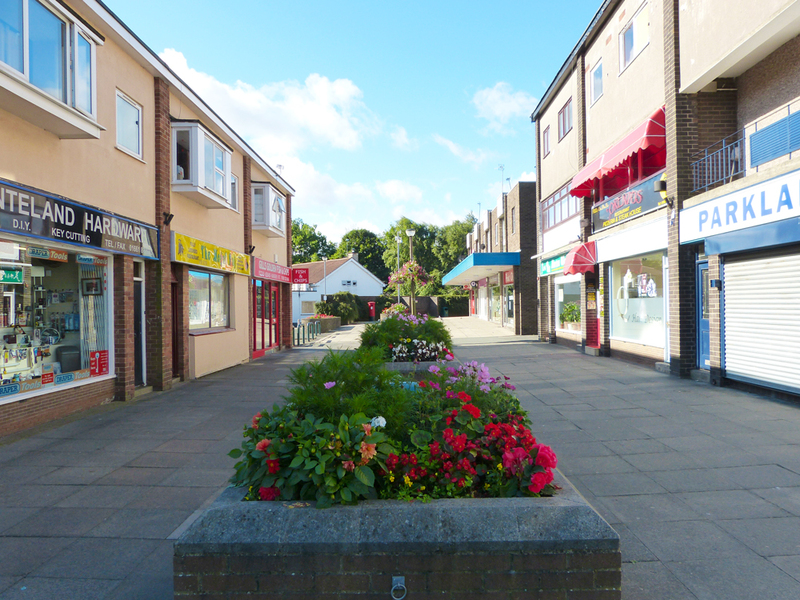 Starting in the early 2000’s, under the stewardship of Kevin Flaherty the Ponteland Community Partnership kept going on a shoestring until support from Castle Morpeth put the Ponteland Community Partnership (PCP) on a more formal basis. At that time, the PCP was one of four community partnerships established by Castle Morpeth Borough Council in accordance with the precepts of the Local Government Act 2000. These partnerships were responsible to Advancing Castle Morpeth, the Local Strategic Partnership (LSP) for Castle Morpeth. The LSP linked in with the county wide Northumberland Strategic Partnership, thus providing a non-political route to the County Council. With the enlightened support of an annual grant of £100k from Castle Morpeth, over £1M of grant funding was levered in for local projects. This was all abolished by the Unitary Authority in 2009.